When does an everyday errand become a life-changing act of kindness? When a simple packaged good purchase helps bring clean drinking water to children, families, and communities that desperately need it; when “1=1” means that consumers can help support an urgent global initiative that’s changing lives. WHEN DOES AN everyday errand become a life-changing act of kindness? When a simple packaged good purchase helps bring clean drinking water to children, families, and communities that desperately need it; when “1=1” means that consumers can help support a global cause initiative that’s changing lives. The P&G Children’s Safe Drinking Water Program 1 purchase = 1 liter campaign with Walmart International, to be featured in 14 countries outside the U.S., offers consumers a way to help provide a life-sustaining resource for communities all over the world. The campaign’s simple premise, “1 purchase = 1 liter of clean water” enables shoppers to contribute to United Nations Sustainable Development Goal #6, which aims to ensure clean water and sanitation for all. This campaign will eventually be activated in 14 countries where Walmart’s International division operates stores. The “1=1” program launched in South Africa and Japan during February, followed by Argentina and China in March. India, Mexico, Honduras, Guatemala, El Salvador, Nicaragua, Costa Rica, Chile, Canada and the United Kingdom will participate in the second half of 2019. 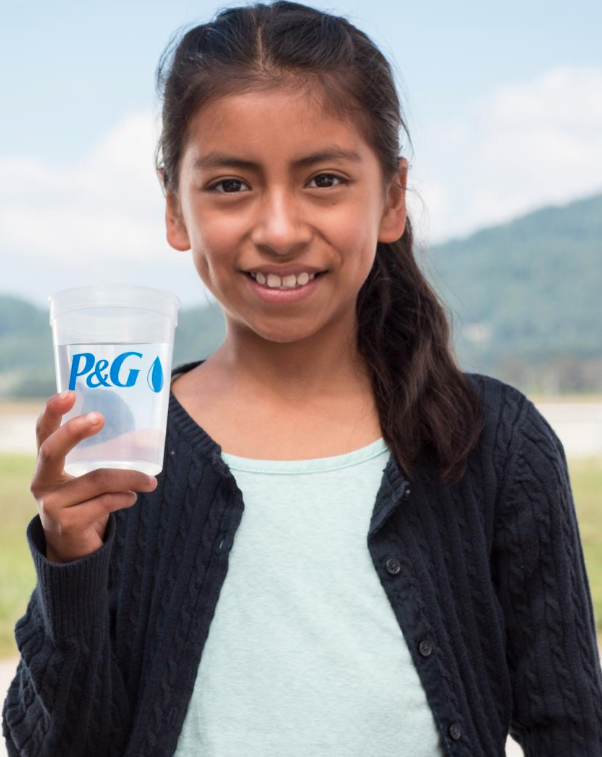 For every P&G product purchased in the participating countries during the campaign period, P&G will provide one liter of clean water to help children and their families through its Children’s Safe Drinking Water Program.